University professor in Physics, Antoine Bret, comments on Hawking’s idea that “science makes God unnecessary”. The prominent British theoretical physicist Stephen Hawking has died at 76. Considered one the world's greatest scientist by many, Hawking was also a cosmologist, astronomer, mathematician and author of numerous books. Along with fellow physicist Roger Penrose, Hawking merged Einstein's theory of relativity with quantum theory to say that space and time would begin with the Big Bang and end in black holes. Hawking also discovered that black holes could emit radiation and would likely eventually evaporate and disappear. In his book, The Grand Design, co-authored with the American physicist and best-selling writer Leonard Mlodinow, Hawking wrote: “Because there is a law such as gravity, the universe can and will create itself from nothing”. “It is not necessary to invoke God to light the blue touch paper and set the universe going […] science makes God unnecessary”, he added. Antoine Bret, a Christian Professor at the Spanish University of Castilla-La Mancha and PhD in Physics, analysed Hawking's work in an interview with Spanish news website Protestante Digital. 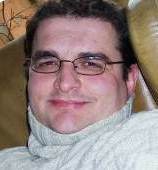 University professor and PhD in Physics, Antoine Bret. Question. What would you highlight as Hawking's greatest achievement in the scientific field? How can we evaluate the influence of his works? Answer. Beyond the media popularity of a scientist, it is possible to evaluate the impact of his scientific articles by the number of times they have been cited by other researchers. Albert Einstein, for example, wrote some articles that today have been quoted more than 5,000 times. Kip Thorne - who received the Nobel Prize in Physics in 2017 - has articles with more than 1,000 quotations. Right now, Stephen Hawking has several 10 publications with more than 1,000 quotations. Probably his most influential work has been the so-called "Hawking radiation" of a black hole that he defined in 1975. A black hole is an object so dense that not even light can escape from it. Even Hawking thought that these objects did not emit anything at all, they only swallowed. But Hawking showed that, in theory, they could emit radiation. Hawking is also known for other scientific achievements, which makes him a "big one" among scientists. Q. 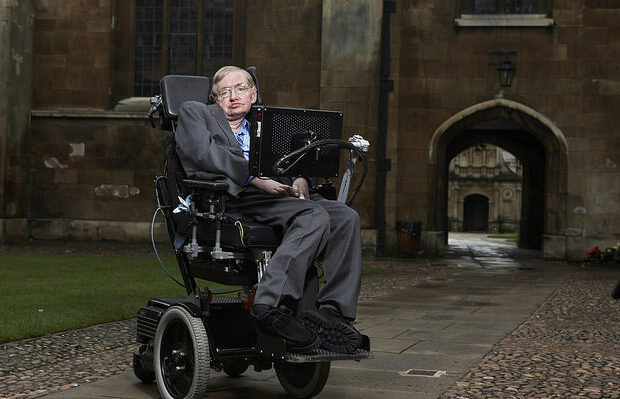 Is Hawking's research a turning point in the history of science? A. I think so. In the years 1910-1920, the quantum mechanics (QM) appeared, which explains how atoms work, and the Einstein's Theory of General Relativity (GR), which explains how gravity works. Soon afterwards, many wondered if they could be unified. What would happen if these two theories had to "play" together? Hawking was one of the first, if not the first, to realize that, in a black hole, quantum mechanics can also act, at a time when it was believed that only general relativity acted. Its formula for the "temperature" of a black hole is, I believe, the first in the history of science where the Planck constant (which is key in QM), the universal gravitational constant, and the speed of light coexist. He was the first to point to a concrete physical phenomenon where QM and GR act together. We still do not know the theory that unifies QM and GR, but if it is defined one day, it will be partly thanks to Hawking's work. Q. Some have clung to the theories of the beginning of Hawking's universe to deny the existence of God. Did Hawking make God "unnecessary" to understand the origin of the Universe? A. First, I want to emphasize that Hawking is not the author of the Big Bang theory. The idea of the Big Bang appeared in 1931, that is, 10 years before Hawking was born (1942). Hawking tried to apply his mastery with the GR and the QM to understand the begining of the universe. Let's suppose that he is right (which has not been proven at all). Let's suppose that his theories correctly describe what happened at the beginning. Does God, then, become unnecessary? I do not think so. I think that idea entails that if something is explained, God has nothing to do with it. It is the common belief that, if something is understood from the laws of nature that we know, God is not necessary, as if God were only necessary for what is not understood. But I do not see that God is defined like that in the Bible. Jesus said that God feeds the birds of the sky (Mt 6.26). Is it a supernatural phenomenon? Does the existence of worms make God unnecessary? Jesus also said that God causes his sun to rise and and sends rain (Mt 5.45). Do the rotation of the earth on its axis, or the clouds, make God unnecessary? Of course not. It is true that the Bible shows us a God of miracles. But also a God who acts under normal circumstances, when nothing supernatural happens. The God of the Bible does not need to solve problems to exist. He is where they are, but also around them. As Acts 17:28 says: "For in him we live and move and have our being".